In the story of the earth, geologists tell us that around 12,000 years ago the planet shifted from the Pleistocene to the Holocene. There probably were poets to sing about that change, but of what they sang, we have no records. Even earlier, paintings on cave walls point toward an artistic response from our upstart species. These early artists painted the Pleistocene’s last great ice age herds thundering past. And if you don’t believe the times are changing, consider these poems–full of dead-on-the-road groundhogs and radial tires, carbon-spewing adventure travel, masturbating parrots, and mounds and mounds of garbage–as twenty-first-century objective correlatives John Keats might recognize. But all is not collapse out there. The puny human voice William Faulkner praised in his Nobel acceptance speech sings amidst the 6th Great Extinction. 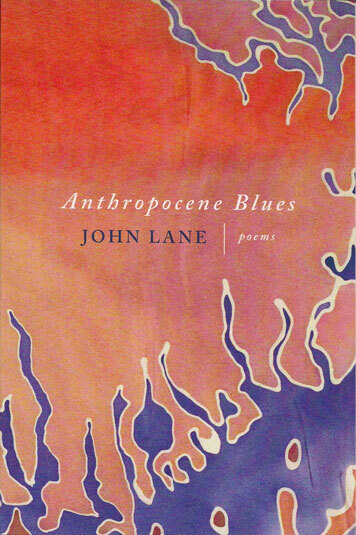 These lyrics and narratives deposit the pleasures of contemporary poetry in the carbon record.